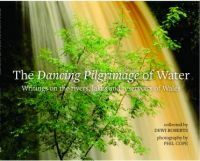 So writes Glenda Beagan in her poem 'Shaman' included in The Dancing Pilgrimage of Water, a book of photographs by Phil Cope and writings selected by Dewi Roberts. In a previous book Holy Wells: Wales, Phil Cope had included some poetry alongside his commentaries on the wells. 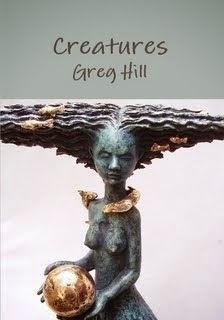 Here the idea is that the creative writing and the photography are in balance and complement each other. The selection of writings ranges from the seventeenth century to the present, but with a strong representation from modern works. When I received my copy of the book I soon realised that something had gone horribly wrong with the typesetting or the editing as my poem 'Trawsgoed' ends suddenly in mid sentence five lines from the end, but with a neat full stop seemingly indicating the end of the poem. I have since learned that I am not the only contributor to suffer in this way. nor interweaving on a loom of moisture. The threads remain: sharp, several, sure."